Characterizing an ideal amino acid pattern (IAAP) for gestating sow« is one of the primary factors for improving overall reproduction performance. It is well documented that gestation nutrition is closely correlated to the performance during lactation. Obese pigs at farrowing possess a low voluntary feed intake during lactation (Yang et al., 1989; Revell et al., 1998a; Sinclair et al., 2001). Low feed intake during lactation results in excessive body tissue loss at weaning which often causes delayed days return to oestrus after weaning or even reproduction failure (King and Dunkin, 1986; Jones and Stahly, 1995). Restricting nutrient intake during gestation to prevent excessive fat deposition is the most popular practice. However, severe feed restriction would not be beneficial either. Obtaining accurate nutrient requirements, therefore, is a key factor for the successful management of gestating sows. An unbalanced amino acid pattern in diets can cause excessive oxidation of amino acids during metabolism by allowing redundant amino acids to be oxidized or deaminated (Voet and Voet, 1990). 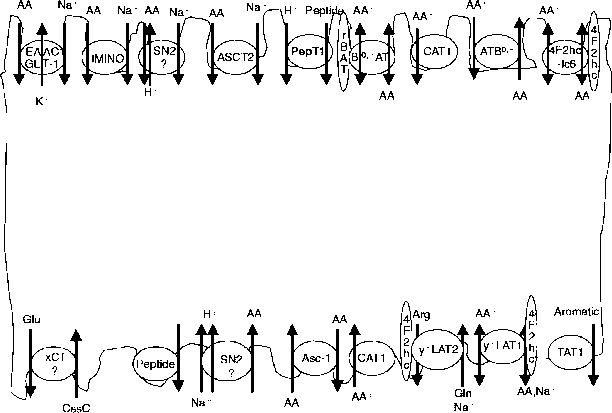 Thus, employing an IAAP helps to reduce overall amino acid oxidation. Oxidized amino acids are mainly utilized as energy sources and may be used for the fat deposition during gestation. Providing a diet with an IAAP to gestating sows will reduce unnecessary loss of essential amino acids and reduce unnecessary fat deposition. Meanwhile, matching dietary amino acid patterns to the actual needs will also allow an increase of protein deposition in fetal tissue by increasing the efficiency of amino acid uptake by the placenta when one considers that transplacental ratio and fetal uptakes are unique among amino acids (Eaton et al., 1982; Yudilevich and Sweiry, 1985). It has been demonstrated that fetal tissue uses amino acids as major energy sources (Schaefer and Krishnamurti, 1984; Hatfield et al., 1984), which illustrates that increasing transplacental amino acids would be beneficial for fetal growth. Thus, applying an IAAP for establishing nutrient requirements of gestating sows will provide a maximal efficiency for fetal growth but minimize unnecessary maternal amino acid oxidation and fat deposition. Accurate estimation of amino acid requirements for gestation will allow nutritionists to set an advanced feeding strategy for gestating sows in relation to improving lactation performance, such as litter weight gain and days return to oestrus. Measuring amino acid needs for gestation should be based on the clear understanding of amino acid changes in metabolically active tissues during gestation. At conception, amino acid metabolism is directed at supporting fetal growth and growth of other related tissues, such as uterus, mammary glands and placenta. Gastrointestinal tract and liver are also important tissues during gestation in that they are intimately involved in amino acid digestion, absorption and metabolism. In the case of gilts or young sows, amino acid metabolism is also directed at supporting maternal growth. Amino acid patterns in various tissues of sows during gestation3. 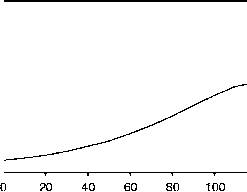 aReIative ratio to lysine. bAdapted from Zarkadas et al. (1992). "Adapted from Kim et al. (1999a). dAdapted from Wu etal. (1998a). 8Adapted from Kim and Easter (2001). 'Adapted from Wu et al. (1998b). Fig. 12.1. Protein content in (a) fetus, (b) uterus, (c) placenta, (d) individual mammary glands during gestation in sows. Adapted from (a) Wu et at. (1998a), (b) Walker and Young (1993), (c) Wu et at. (1998b), (d) Kensinger etat. (1982). nance will differ among tissues and also change as gestation progresses. Amino acid patterns in these tissues differ as well (Table 12.1). Dietary amino acid patterns should consider all of these factors to match the actual amino acid needs during the specific stages of gestation (Fig. 12.1). Components of the amino acid gain from uterus, fetus, placenta, and mammary glands should balance with dietary components together with carcass, gastrointestinal tract and liver. The order of limiting amino acids can be obtained from the balance between IAAP and major feed ingredients. Table 12.2. Estimates of ideal dietary amino acid pattern for gestating sows3. aBased on a scenario that the sow has 11 fetuses. calculated based on an assumption that amino acid patterns in those tissues do not change during each period (Table 12.2). Estimated patterns suggest a concept that the ideal dietary amino acid pattern is changing depending on the stage of gestation and the amount of maternal protein gain. The most recent and comprehensive concept in ideal amino acid patterns for gestating sows would be estimates from NRC (1998). The ideal dietary amino acid pattern suggested from NRC (1998) stays the same during the whole gestation period and does not respond sensitively to the level of maternal protein gain. Based on a simple calculation in Table 12.2, it is shown that the ideal dietary amino acid pattern from NRC (1998) does not represent the actual amino acid needs for gestating sows. The problem in the NRC ideal amino acid pattern is that the suggested ideal pattern is a fixed and single profile and does not consider changes of growth rates among individual tissues as gestation progresses. Wu et ai (1998b) measured the actual amounts of each amino acid taken up by the uterus during gestation (Table 12.3). When the ratios for the actual amino acid accretion in the fetus, uterus and placenta are considered, lysine was used most efficiently for tissue accretion followed by valine and isoleucine. Factors for uterine amino acid uptake need to be further investigated and identifying those factors will improve accuracy in estimating amino acid requirements in gestating sows. Assessing detailed information on changes of amino acid quantities and patterns in the uterus, placenta, fetus and mammary glands, as well as maternal carcass, gastrointestinal tract, liver and other viscera during different stages of gestation will provide an important basis for estimating an accurate ideal dietary amino acid pattern for gestating sows. At this time, however, it is a hypothesis that the ideal dietary amino acid pattern is dynamic as gestation progresses.